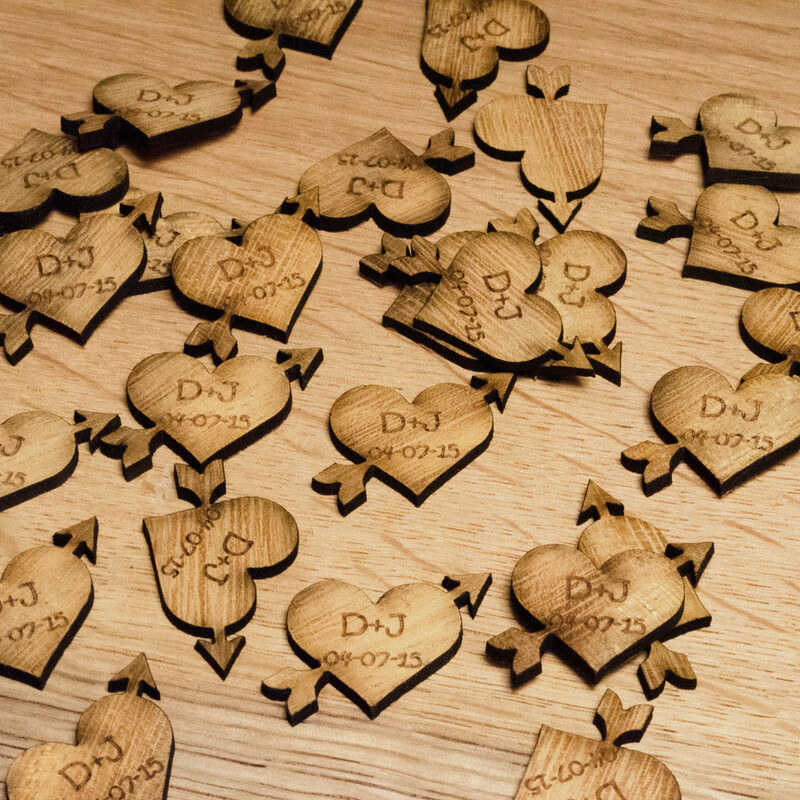 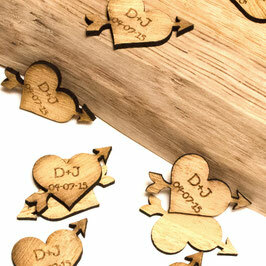 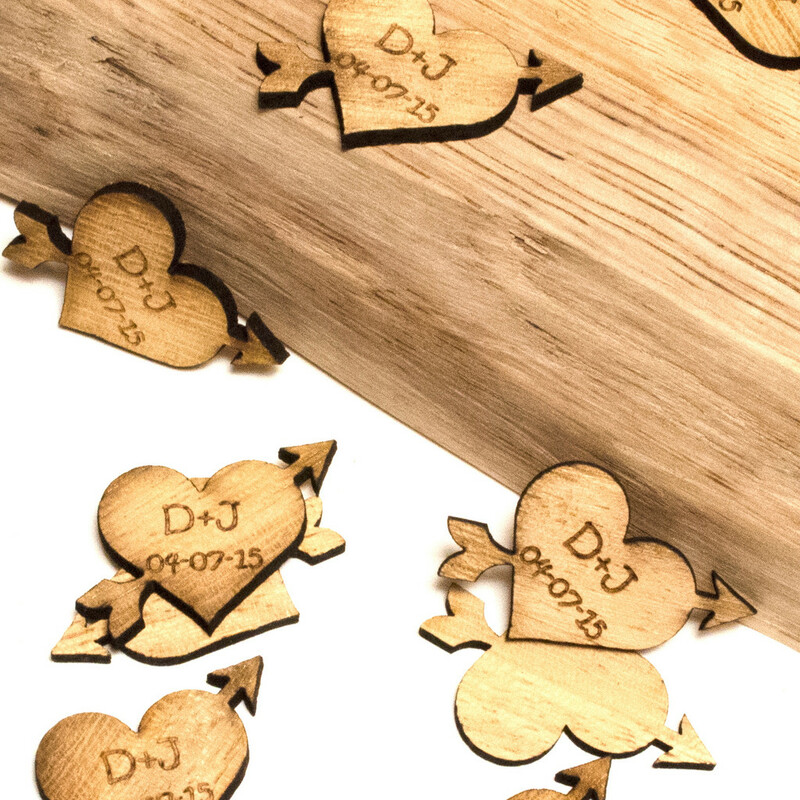 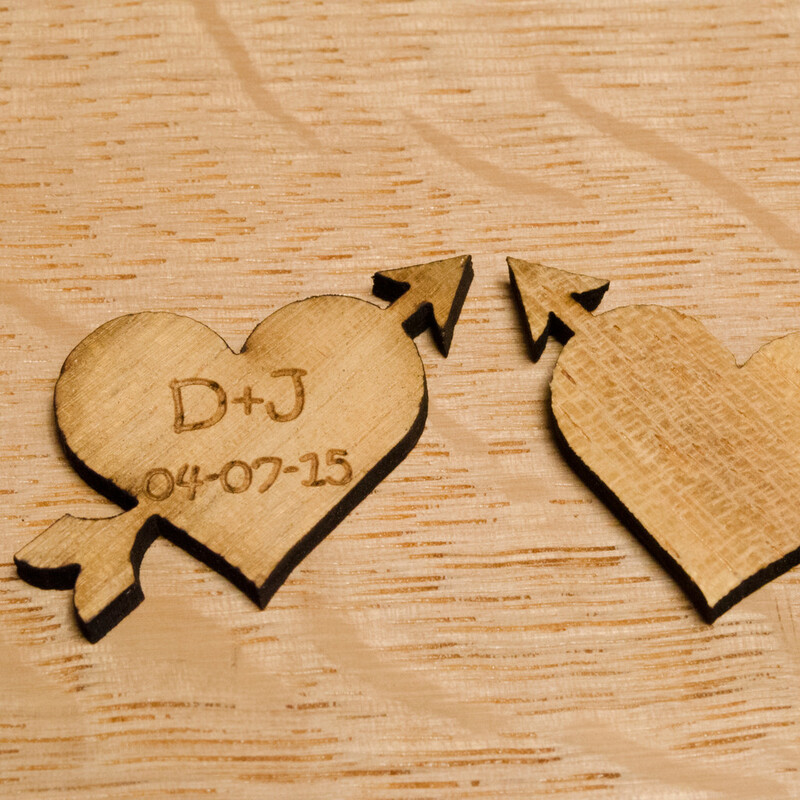 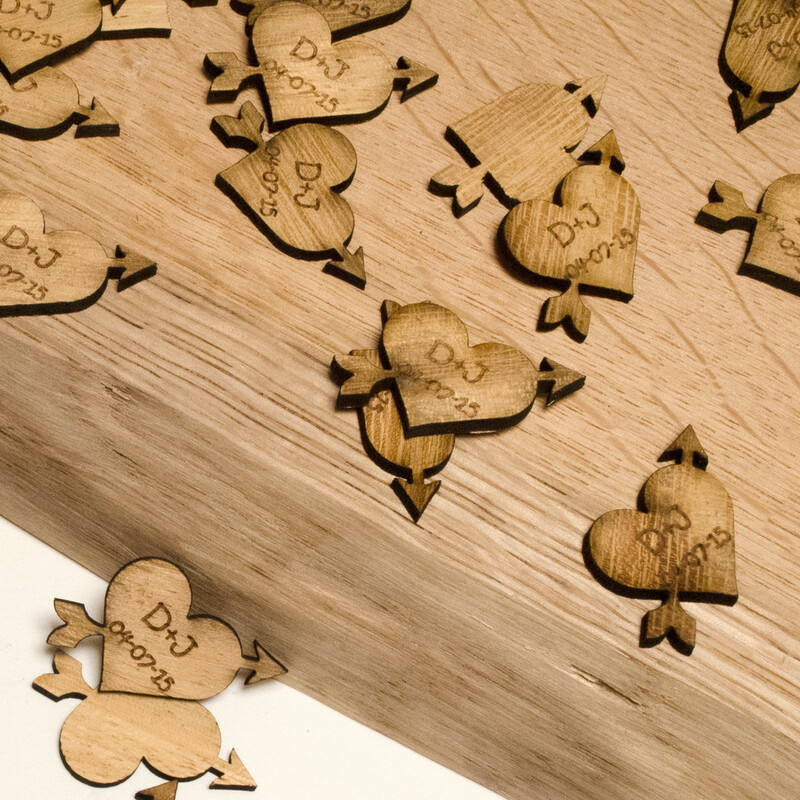 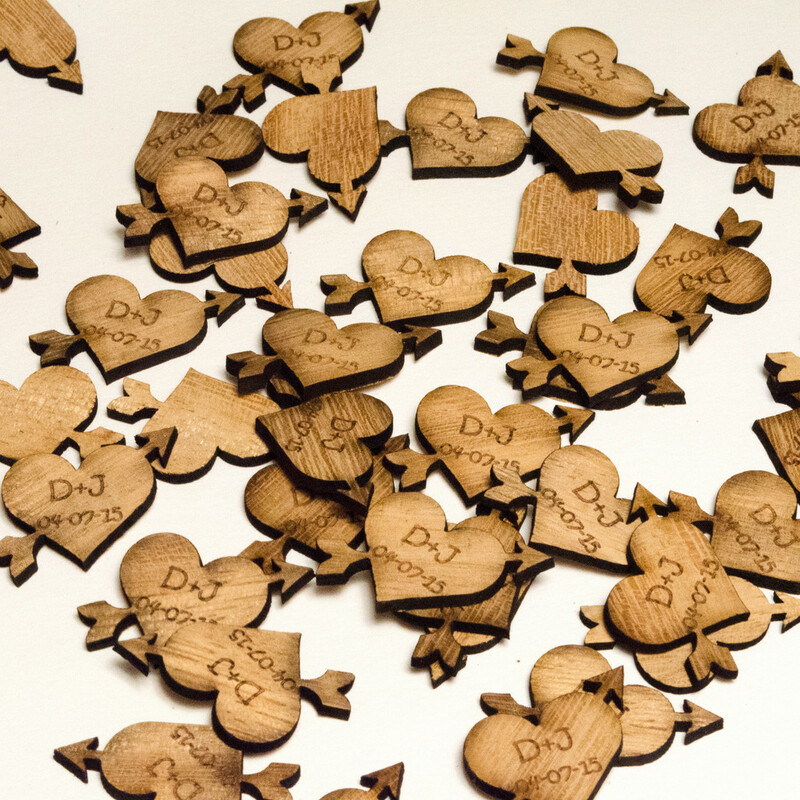 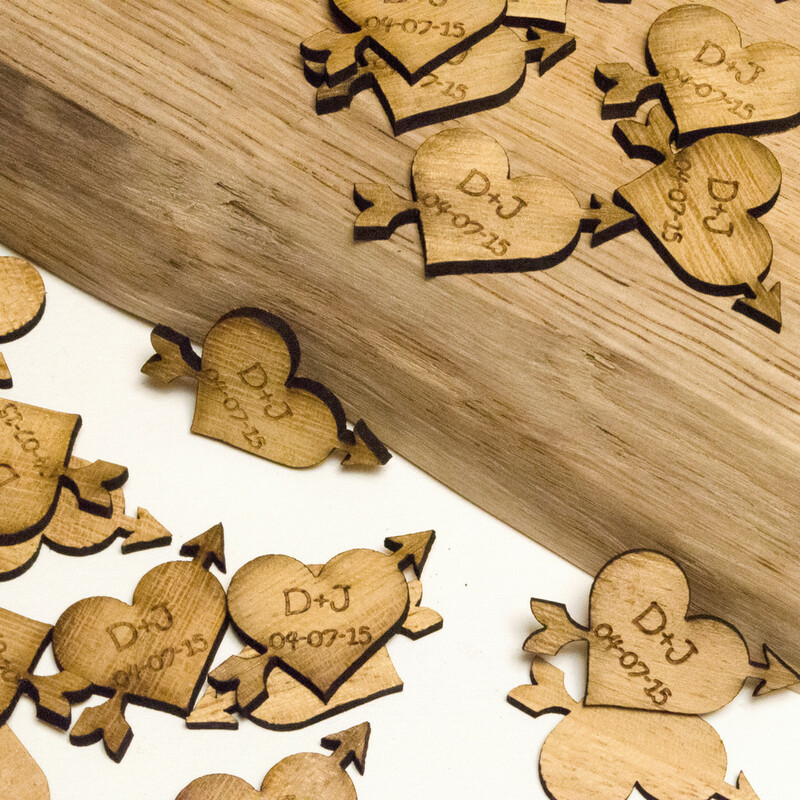 These rustic wooden hearts with arrows are laser cut from 2.5mm hardwood and would look perfect scattered across your wedding tables. 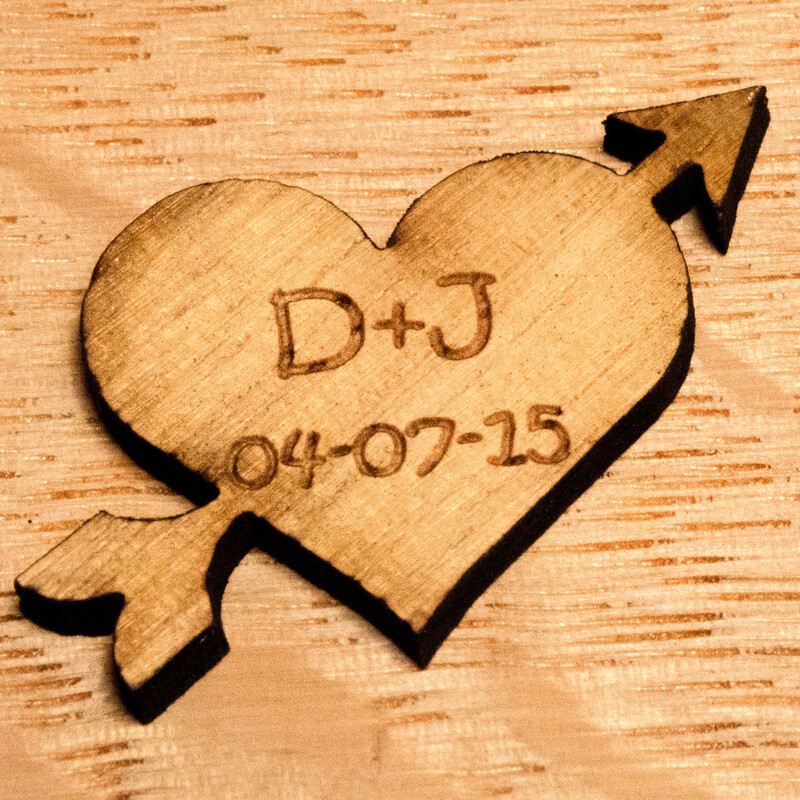 Dimensions: Approx 38mm wide (length of arrow), 2.5mm thick. 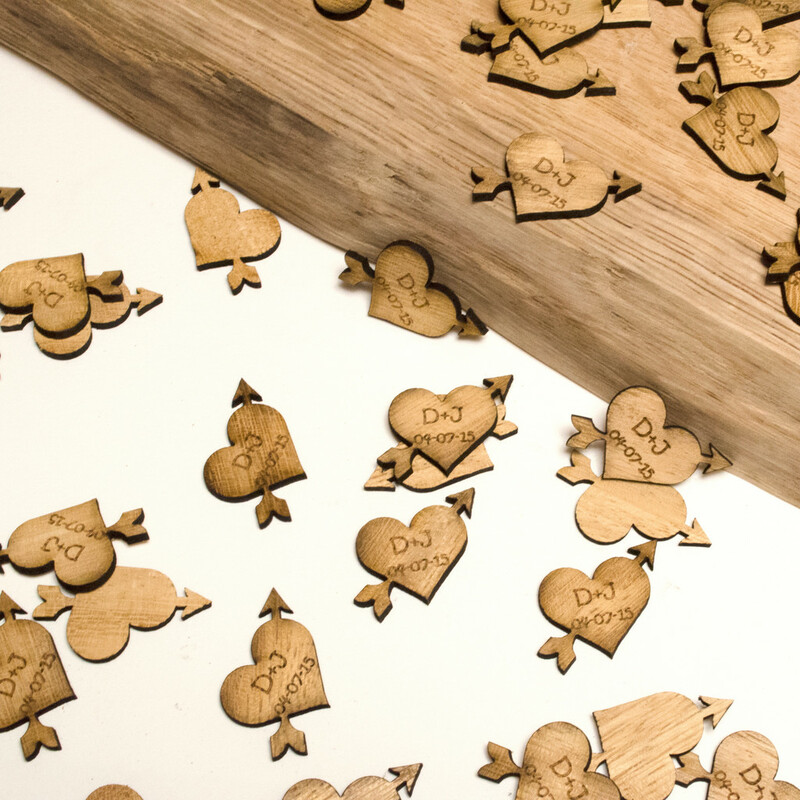 Please use the drop down box below to select the number of decorations you require.